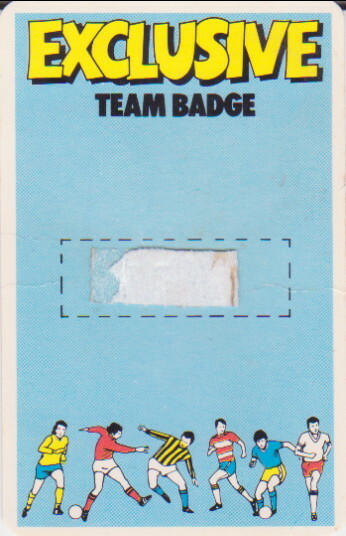 Comments: There are some good dating clues in this set. 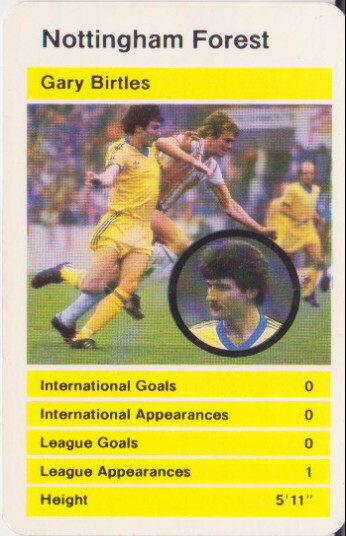 Gary Birtles is listed with only one League appearance, which he made in March 1977. 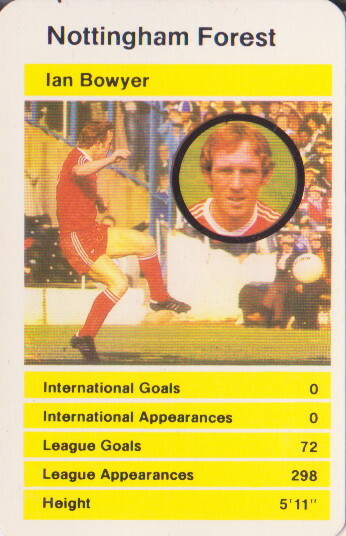 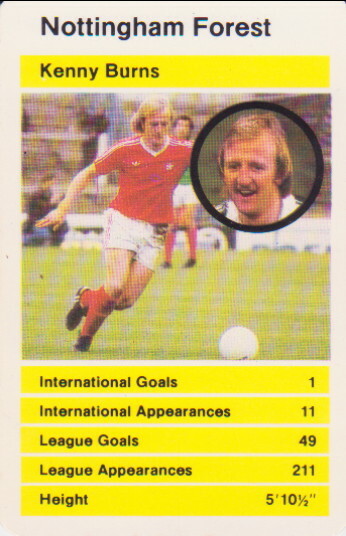 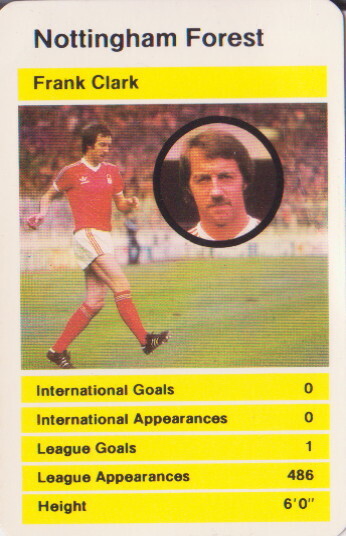 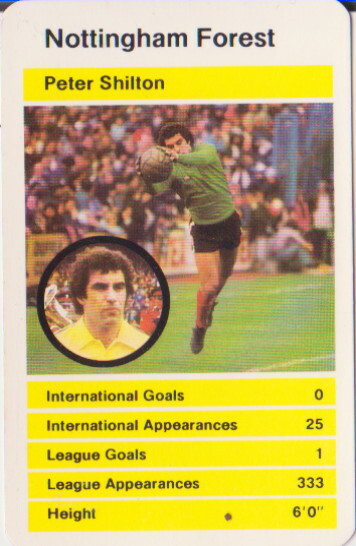 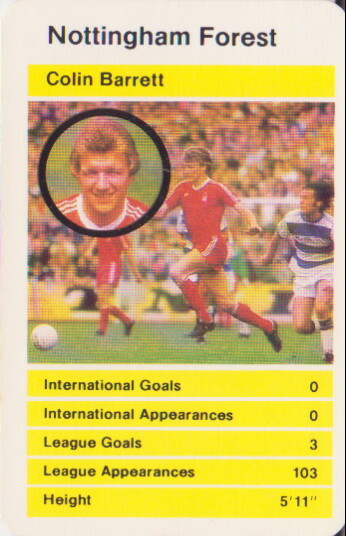 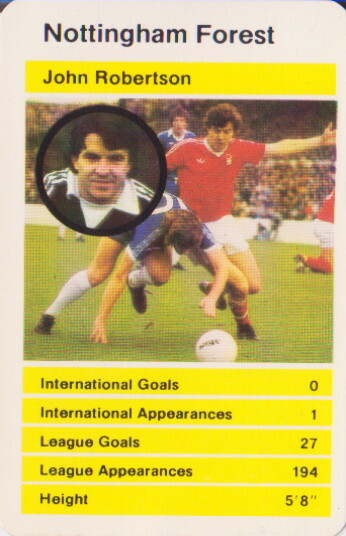 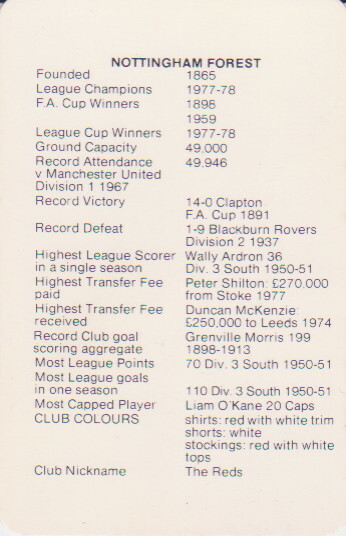 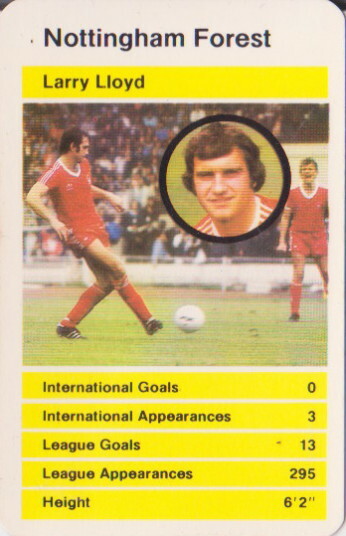 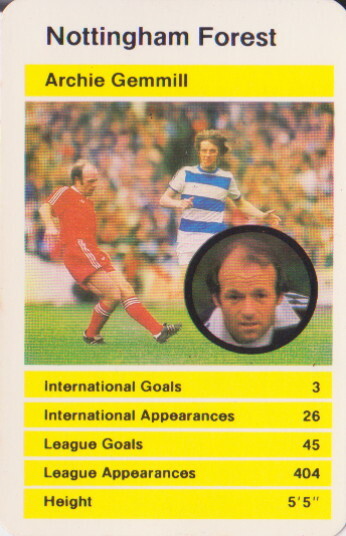 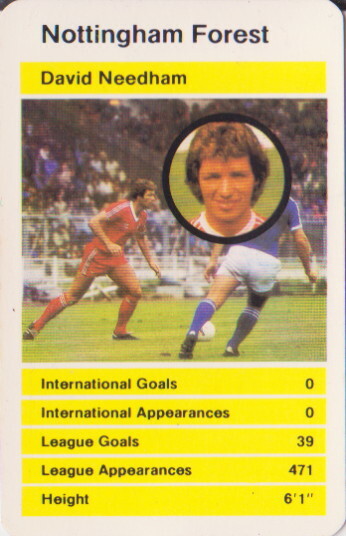 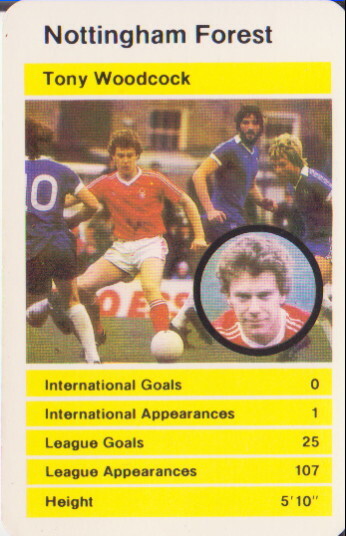 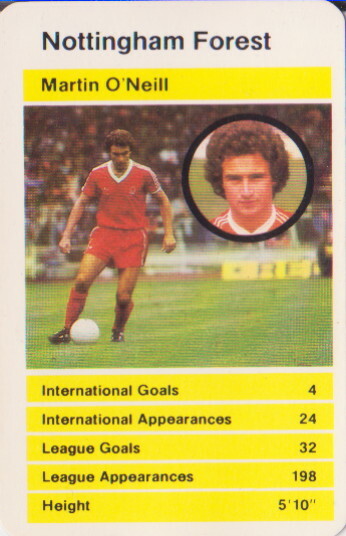 His second League appearance was in September 1978, suggesting that the data on these cards was compiled in the off-season after the 1977/78 season in time for distribution in 1978/79. 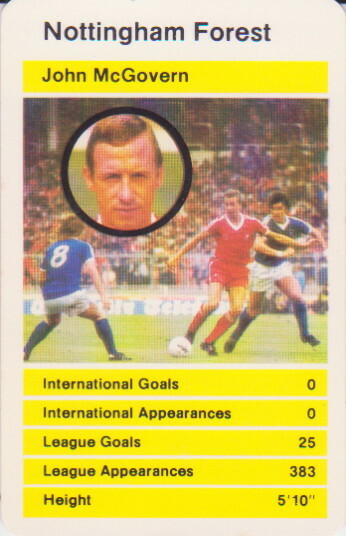 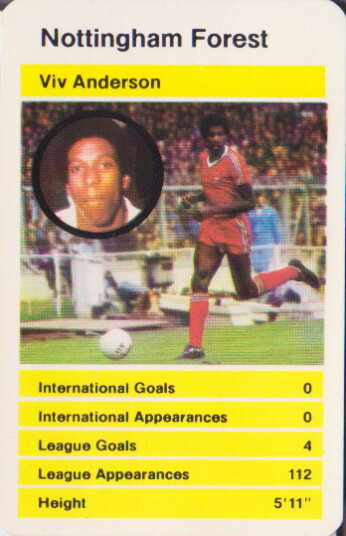 Viv Anderson is listed with no international appearances. 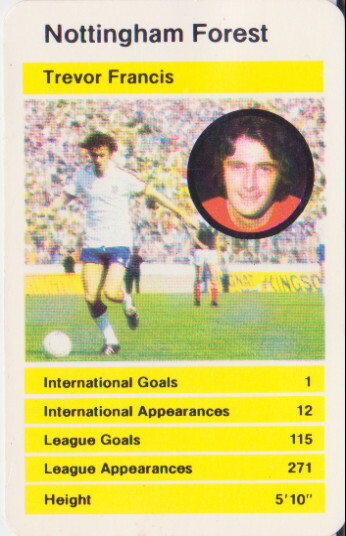 He made his England debut on 29 November 1978. 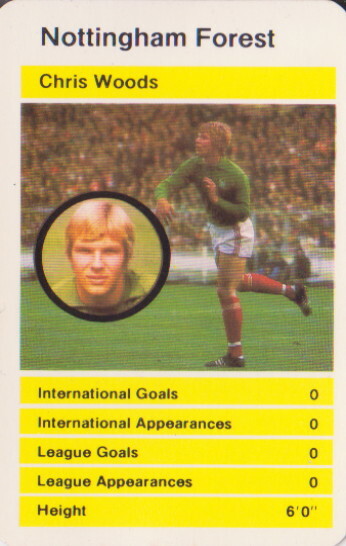 Goalkeeper Chris Woods is listed with not having made a League appearance, which is true (he starred for Forest in the League Cup when Shilton was cup-tied). 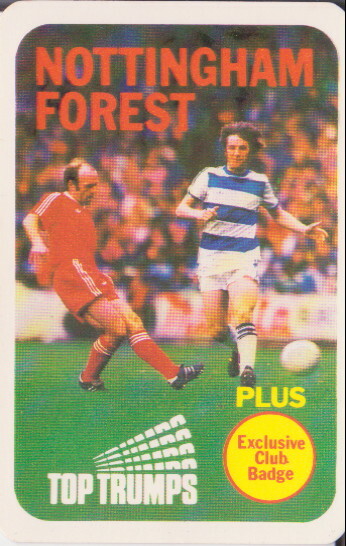 Woods left Forest in July 1979 on transfer to Q.P.R.